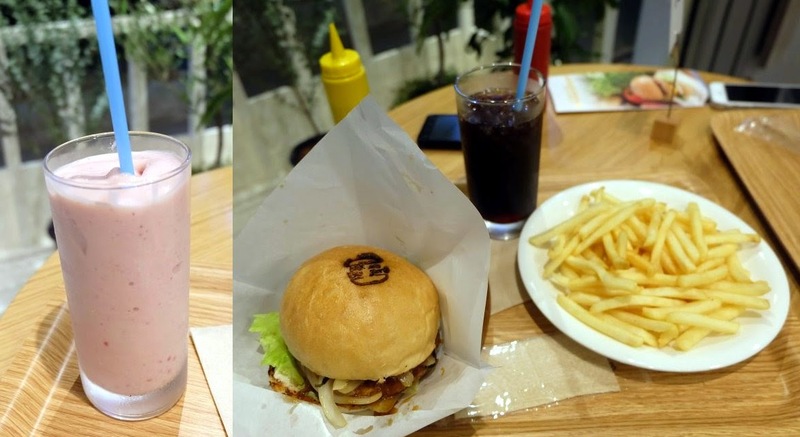 As of February 2015 Mana Burgers have sadly closed. I'll keep this page here until I find out whether or not there's any chance of them re-opening anywhere else. 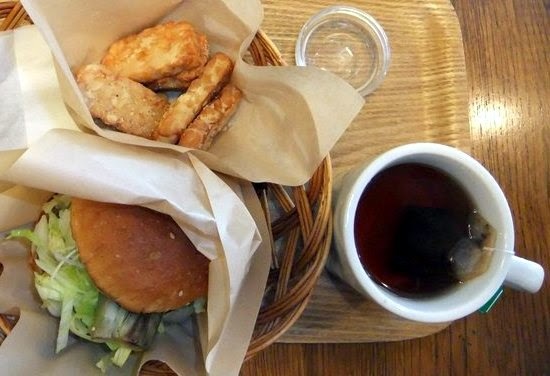 I first went to Mana Burgers in 2010, when I had a day in Fukuoka on a whirlwind tour of Japan on the Japan Rail Pass. I went to Mana burgers, did a load of laundry, slept, got up and whipped around the old castle ruins, all in less than a day, and then had to jump back on the Shinkansen to get back to Tokyo before my pass ran out. I was delighted to recently learn that they've re-opened in Yokohama. I also learned that Island Veggie is also inspired by the same owners. "Natural junk" in a nutshell! My burger was delicious, and it's always nice to find a fresh soy smoothie! They also serve steamed buns from the Loving Hut. While they're officially the only vegetarian restaurant in Yokohama (disappointing for a city the size of New Zealand) they're a long way from Yokohama Station or tourist areas, and it's faster to reach them from Tokyo (25 minutes from Shibuya Station on the Den-en Toshi Line) than from Yokohama. But when you're feeling like a healthy (??) junk-food meal they're well worth a visit from either city. The interior is large and pleasant, with indoor and outdoor seating. It's not easy to find Mana Burgers, and as of August 2014 they aren't on Google Maps (and only the owner can add them, and I can't find an email address to suggest it). But his location should be correct, and their own map is here. Do you know why they closed? Their food was so good and they always seemed to have customers when I ate there! Yeah it's a real pity. I heard it was to do with an issue with their parent company, but that's all I know sorry. I hope they can re-open somewhere else - third time lucky hopefully!